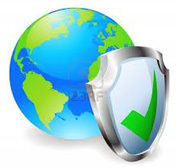 With any online service, security is always an issue. Hackers are continually trying to get in and mess up any system, and troublemakers are always trying to upload harmful or useless material. Thankfully, the staff of KickassTorrents monitors files’ submissions to ensure that each user truly gets what they are expecting. The main thing is that if you are using the right tool to download torrents, you are on the safe side. And for those that they miss, or that they do not get to in time, instructions are provided to educate the user on spotting phony files. All users are encouraged to read the feedback that goes along with each file in order to alert if anyone else has experienced problems with the file in the past. It is generally good to use only those with many positive reviews. The site also welcomes feedback by users to unsure that illegitimate files are removed promptly. These safety measures can give a peace of mind for those contemplating downloading files as they keep their computers free from any harmful computer infestations or programs. Some file types are recommended in order to minimize the danger even more, such as .avi and .mkv. Users are advised to avoid any kind of files that provide additional instructions. Pop-ups are a common sign of malicious software, as are anything that prompts one to set up password protection. Anyone can download a video or music file, and should not need to install any other programs to run these. Therefore, any file that prompts the user to install anything, or that causes a pop-up, should be avoided and flagged. With the comprehensiveness of the search power provided by KickassTorrents, some copyright issues do arise. It is possible for some users to find material through the search engine that is copyrighted and should not be downloaded. Most of these files are obvious in their illegality and users should heed the warning not to get involved in the legal problems that can arise out of illegal download. Disregard of legal stipulations can cost one huge sums of money in compensation. Any kind of material can be copyrighted, whatever form of media it may be. The holders of these copyrights have the freedom to sue anyone found violating their copyright. Since this process of legal pursual gets very messy and embarrassing, not to mention expensive, anyone who finds themselves in such a position should seek out the offended party and try to settle out of court. The prosecutor may often stop their legal plans and settle in a more pleasant manner. Likewise, anyone who finds their copyright being abused should seek to fix the problem without legal involvement. However, if this does not work, than by all means use the existing legal proceedings made for such an instance. KickassTorrents does not condone illegal activity and therefore encourages the proper action against those acting criminally. Anyone with copyright concerns is more than welcome to contact the anti-piracy programmers at KickassTorrents to voice their complaint. These and the senior architects are equipped to fix these issues and ease work to prevent them in the future. The torrent system cannot access the information needed to monitor these activities the service itself cannot do much in the way of resolving copyright disputes, however the aforementioned professionals can handle all of those details.